What is a ShareTheMiracle Station? A ShareTheMiracle Station is one of the most fun and effective ways for Businesses, Schools, Churches and any other community group to transform their community this Easter. 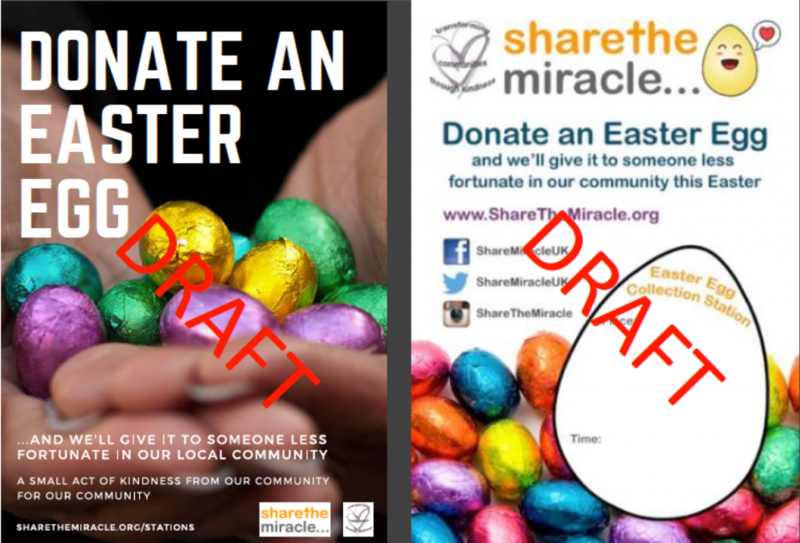 Your ShareTheMiracle Station acts as a collection point where members of your local community can drop off Easter eggs in the run up to Easter. It could be a school, business, church, volunteer centre, council office, pub, gym, charity or any other community group. The options and opportunities are endless. Once you’ve collected them, you give them to those less fortunate in your local community. Some choose to reach out to the homeless, the elderly, those unwell in hospital but you can decide. Finally, tell us what happened to encourage and inspire others. 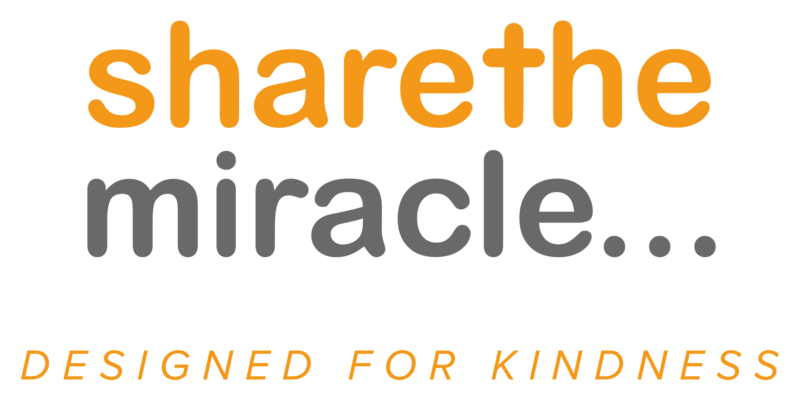 Your ShareTheMiracle Station is a simple way to mobilise your friends, colleagues, students, members or community group through a simple act of kindness. Its a fun and effective way of bringing people together in support of those in need locally, aiding both personal and community development. The familiarity of giving a chocolate egg provides an accessible way for people to start a conversation, meet people in their local community that you may not ordinarily and bring about something that may not have been possible otherwise. Each egg has the opportunity to change a situation and each act of kindness helps strengthen your community, form friendships and release hope. ShareTheMiracle have done all the hard work by preparing a free resource pack which includes posters and flyers that can be printed, emailed or posted to help you promote your Station and encourage everyone to get involved.